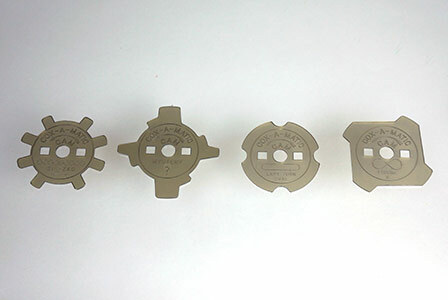 Differently shaped discs can be changed to perform preset driving patterns. 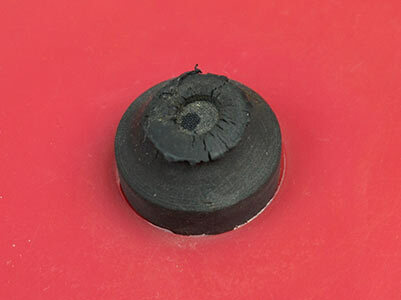 Very common are the yellow knob type discs. 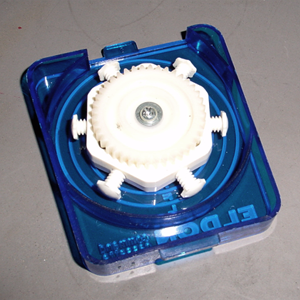 Then there are the tiny, blue Motorific Computer Car discs. 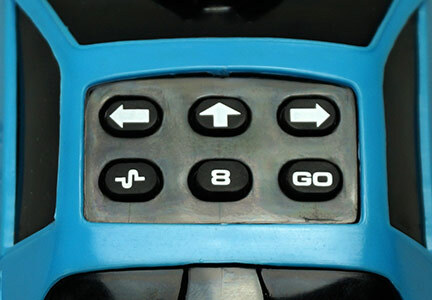 The Cox Action Van has large, transparent discs with embossed text and pattern symbols. 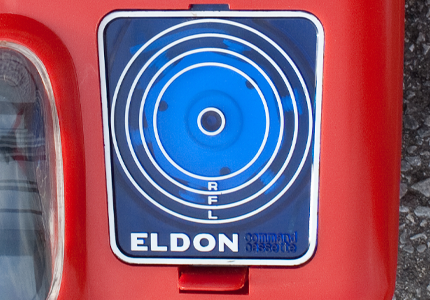 Only used in Eldon's Command Cassette series. 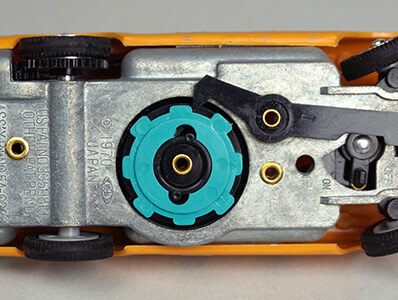 Six screws can be adjusted to change the driving pattern. 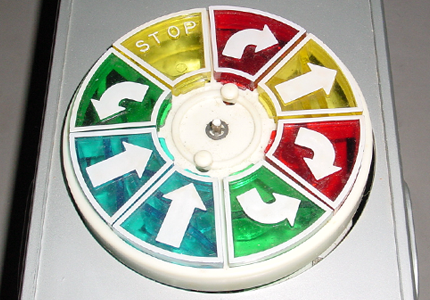 Eight blocks can be rearranged in a round container for different driving patterns. 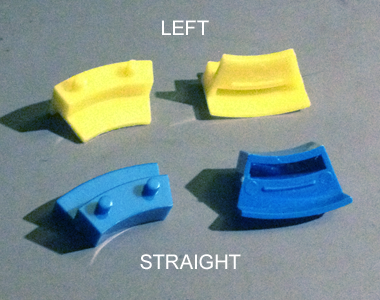 Five or two types of blocks. 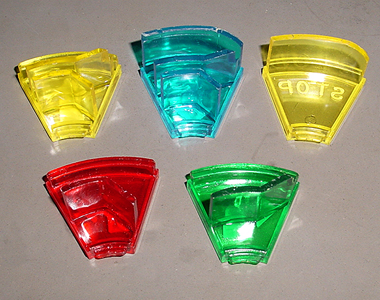 Eight or nine steps. 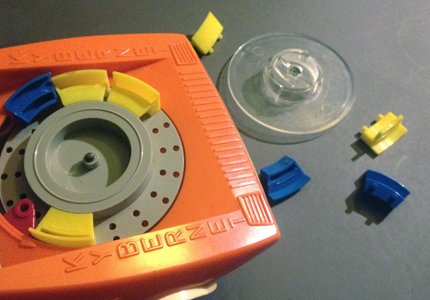 With the Piko Spielwaren Kybernet a slot without a block is also a command. 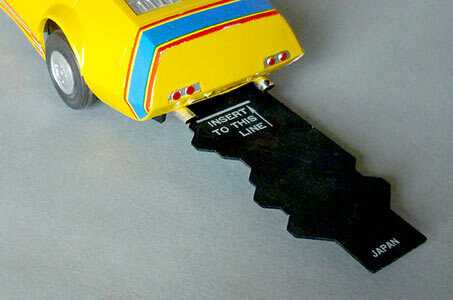 Plastic cards with a preset course, and cardboard cards for cutting your own custom driving patterns. 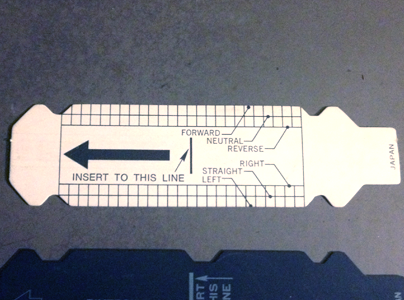 One side controls the movement (forward, neutral and reverse), the other side is for the direction (left, right and straight). 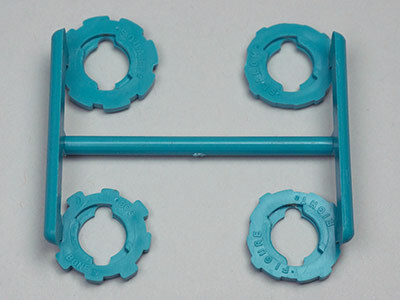 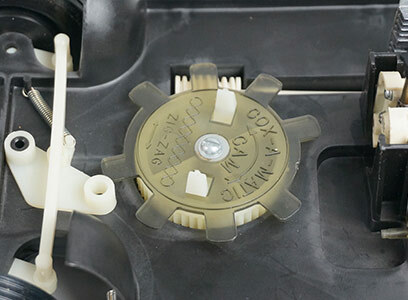 The tiny plastic sticks with preset courses are inserted in the front of the car. 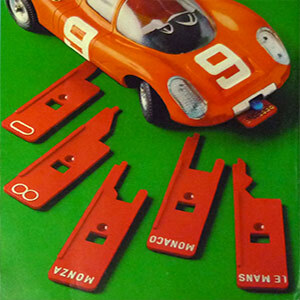 Only used in the Gama Porsche 907. 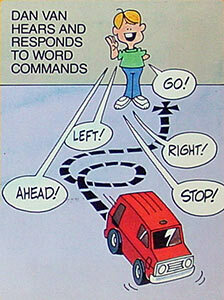 This is probably the most simple type: 4 puppets each have their own driving pattern. 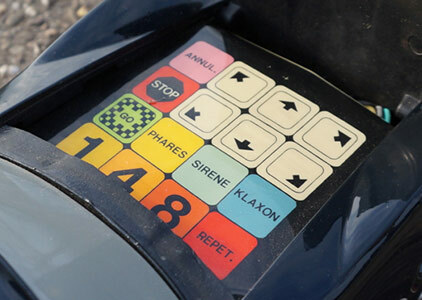 Just change the puppet in the driver position and the car will drive accordingly. 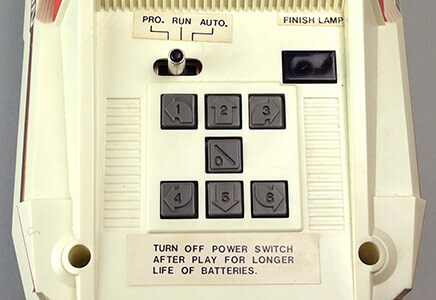 Not really programmable as you can not pre-set a route. 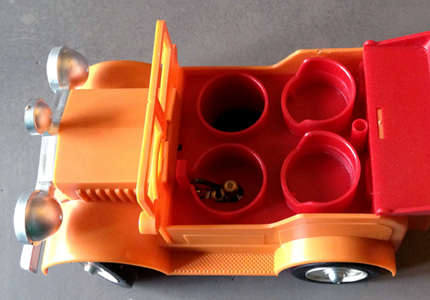 But: you can control this car via simple voice commands! 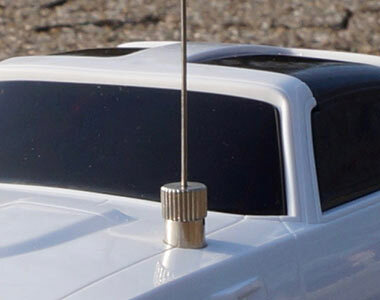 It has a tiny microphone on the top of the car. 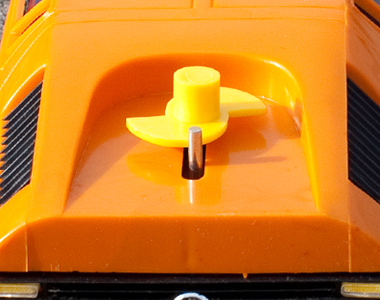 Only used in the Entex Dan Van. 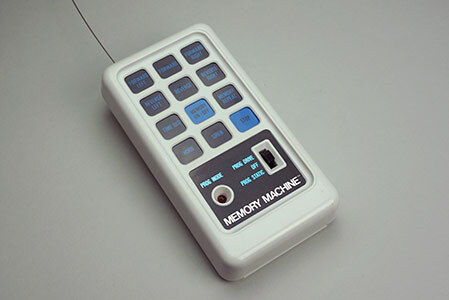 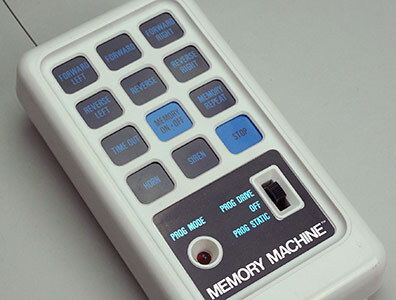 Computer cars of the late 1970s allowed sequences of movements and actions to be programmed and stored on a microchip. 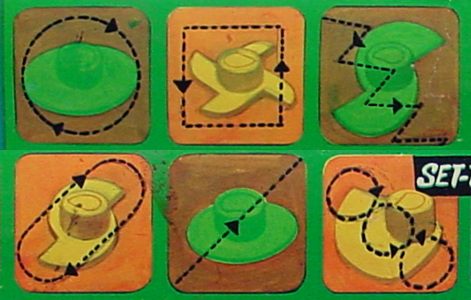 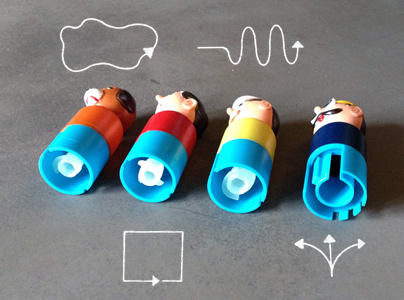 Not only movements can be included, but also actions like flashing lights or sound effects. 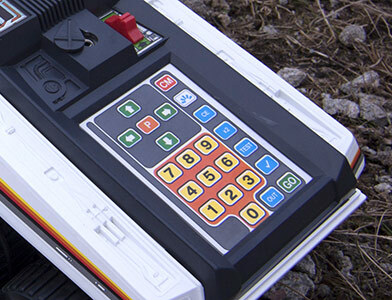 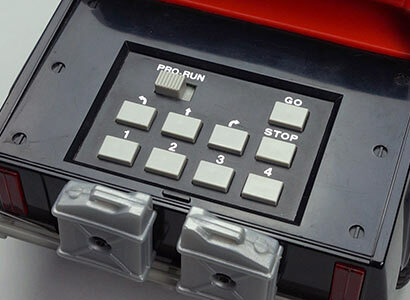 You can switch between driving a programmable sequence, or by regular radio comand control. 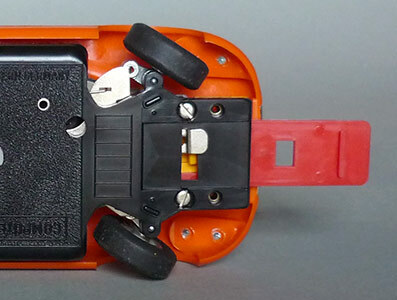 Only used in the Mattel Pontiac Firebird.